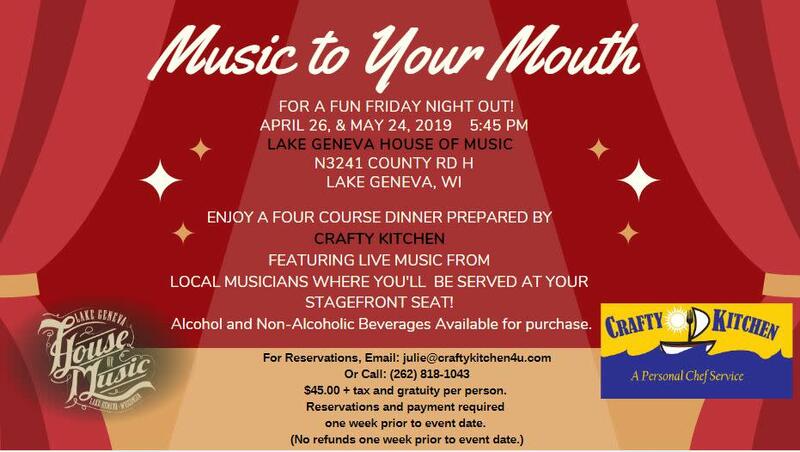 Crafty Kitchen and the Lake Geneva House of Music Present "Music to Your Mouth" a Four-Course dinner event featuring live music from local musicians where guests will be served a themed four-course meal. 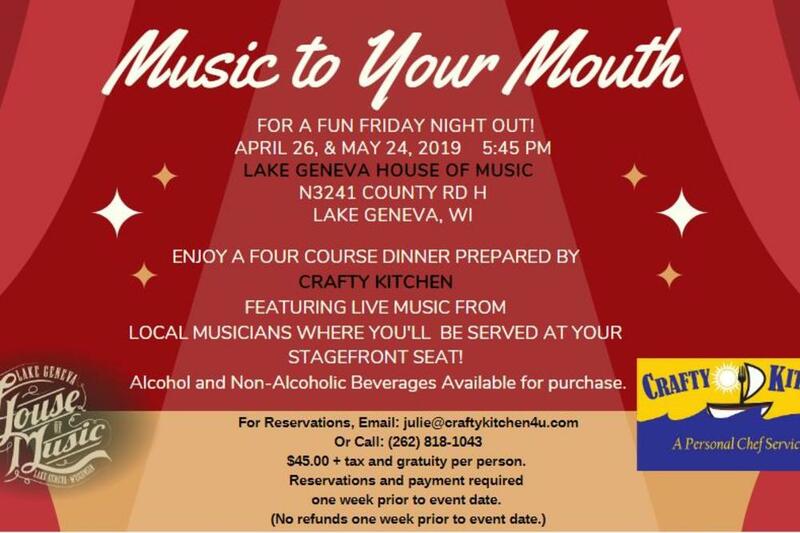 This entertaining musical dinner event will occur on the fourth Friday of the month starting April 26th! There's no better way to kick off your weekend! Alcoholic and Non-Alcoholic Beverages are available for purchase. $45.00 + tax and gratuity per person due upon reservation. © 2019 Visit Lake Geneva, All Rights Reserved.